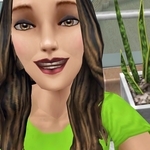 I've seen a lot of complaints about the Sims Freeplay on these (and other) forums and I was thinking maybe we could write them an open letter as the Sims Freeplay-community. Since I'm no English native speaker and I'd love to get some more community members involved (I mean, the more the merrier, it probably also makes it more credible) I was thinking maybe everyone who's interested can write one or more paragraphs in the comments below and one of us can compose a full letter consisting of those paragraphs that can be posted on Twitter/Facebook/Instagram or wherever else the Sims Freeplay has accounts. I feel that if we come together as a community instead of complaining on a forum they don't even see, we can truely make a change. I hope there's like minded people, who are willing to help me pull this off. Thanks for reading, wishing you'll support! Definitely the high cost of the feature quest this update. Also upping the amount of Sims needed to complete the pregnancy event. I've been playing the game since it came out (well, minus 3 weeks) and it's been really amazing to watch the game grow these past 8 years. We couldn't even cancel actions in the beginning! And now there's just some amazing stuff in here. What has been hard to watch is how greedy EA/FM have gotten. I think being a free-to-play game there is a certain amount of expected greed and maybe we are just became the frogs in a boiling water pot. It's been happening all along, and we've gotten a little angry about the increased temperature along the way, but now we're sitting in a boiling pot of water. The greed was always there (adding death was a big one - pay to keep your sims alive!) but it's just so bad now. The requirements for live events are so high now it's nearly impossible and then if you do manage to unlock everything they cost of the items themselves is ridiculous! Basically, unless you are an older player (anyone playing before January 2013) or are very well-off and can fork over hundreds of dollars monthly, there's no point in doing the Grand Garages Live Event. None. Because what's the point of getting all this stuff for garages if you can't then put a car in it? And they're not just ruining live events. They've done it to the hobby events, too. Daring Do's: sounded great at first but then you realize it's only 4 new hairstyles and we only got half of a new hairstyle each time we completed the collection. Instead of doing it 7 or 8 times to unlock 7 or 8 hairstyles we had to do it 8 times to unlock 4 hairstyles in all the available colors. And then we didn't get any of the fun colors! It's Daring Do's! Where's the pink? Where's the green? What's next for these events? One new hairstyle and we have to do the collection 12 times to get all the colors? Ads that are supposed to finish actions are just frequent interruptions, finishing nothing. There’re glitches all over the place but the only glitches getting fixed are the ones that help the player. Any glitches that make it difficult for the player could take ages to correct if they ever correct them at all. You’ll never be able to afford the things you don’t have time to win in the endless, mindless events unless you use your real money to buy their in-game currency. I understand that the devs need to make money and I’ve even spent a few dollars myself but they shouldn’t be able to call this a free game if they make people spend real money just to play. That said, I love the game but I started playing the game years ago when the reward system was more generous and have an advantage that new players will never get. It’s unfair and I don’t think new players will have fun. i'm with y'all! the most bothersome, for me personally, are the insane prices, be it simoleans or special currency (pieces of furniture costing 300,000 simoleans shouldn't even be a feasible option, let alone reality) and the undoable quests and events. I've already ranted about the Quality of Life additions i'd wish they'd add, it's unlikely they'll do anything that doesn't involve micro-transactions. When building new houses or event centers, if the cost didn't get scale so sharply, then the it wouldn't be so bad. i'm currently at rank 47 and it costs me 900.000$ to build anything else [1mil for the hospital. ], even with a full town of 20~ sims, each earning upwards of ~1000$ per- it will take weeks of nothing but work/farming to build something that really doesn't impact the game. likewise with the pregnancy event... it jumped from 170,000$ per visit to 270,000$ per visit. Though, honestly for me, this is of little import to me- i'm letting my town die off and saying good bye to this game for a while. worse for me, is i can't get any LP from the SonicAds offers for some reason. i've contacted them, and nothing from them except "we'll look into it."